Here’s the first film from cinematographer turned director Wally Pfister, best known for his cinematography on The Dark Knight and Inception. It stars Johnny Depp, Rebecca Hall, Morgan Freeman, Paul Bettany and Kate Mara. 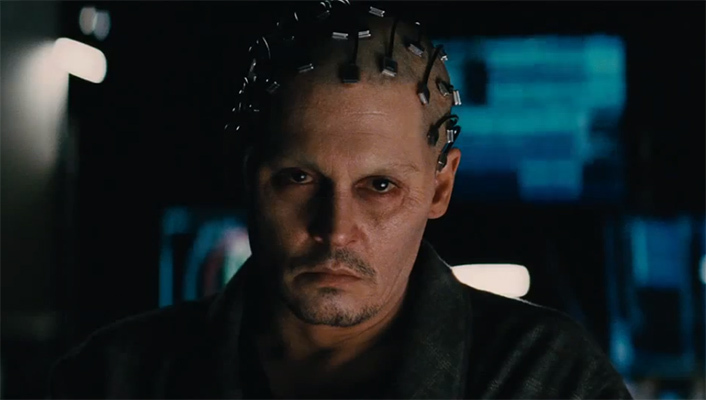 Dr. Will Caster (Depp) and his wife/partner Evelyn (Hall) are the topmost pioneers in the quest to develop an artificially intelligent sentient machine that also envelopes the basic personality of human beings. Will has been performing experiments trying to develop technology to allow transcendence, or the transfer of a personality into the digital world as a personality-driven computer. They are highly acclaimed in their field and most certainly have pristine reputations amongst their peers, but what would a story be without some controversy? An underground extremist group with the motto “unplug” lead by Bree (Mara) isn’t too keen on the whole “play God” scenario and assassinate several leading members of the field developing the AI. In their rampage they attempt an assassination on Caster and fail…or so we think. Caster eventually finds that he’s been poisoned by the bullet that hit him and will eventually kick the bucket. Clever little rebels did their homework. 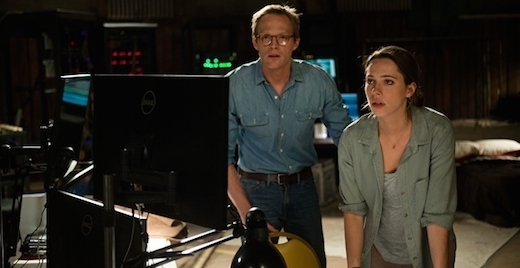 His quick witted and highly loyal partner Max (Bettany) sits down with Evelyn and they decide to attempt transcendence with Caster to keep him “alive”. It’s successful and Caster becomes the first emotionally powered A.I. in history. Max and Evelyn quickly discover that even the purest mind can be overcome by greed and power. They then realize that some anti-computer hoodlums are the least of their worries. Bam! There’s the plot. What’d I think? Well it was alright. The first 30 minutes or so I was really feelin’ it. I am a sci-fi junkie and loved the basic premise. Even in the last act I was well entertained, but I wasn’t too thrilled with how the story actually panned out. 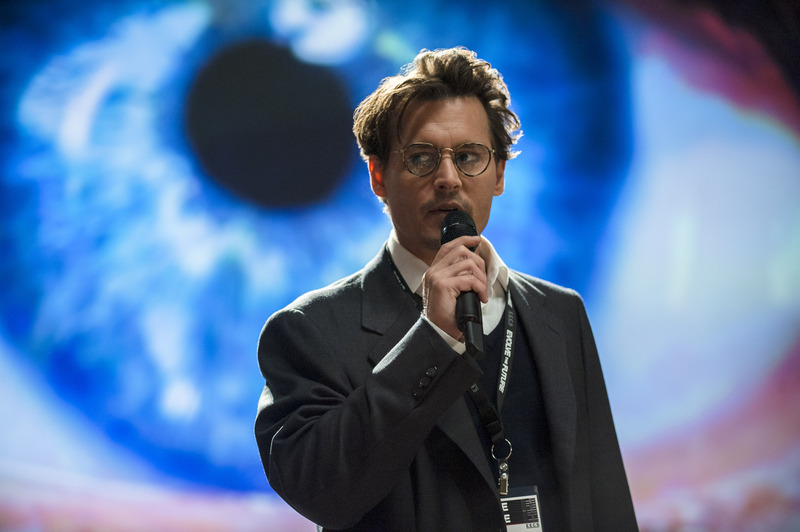 It was nice to see Depp back on the big screen, I feel like he doesn’t do enough these days. I will say that his performance was a bit underplayed, which some would argue isn’t fair because 75% of the film he’s a computer, but hey Scarlett had me glued the whole time in “Her” and you couldn’t even see her face so it’s no excuse! I thought that Paul Bettany really delivered as he typically does. His character adds a needed comfort and grounding presence throughout and I was into the evolution of his character. Wally Pfister is one of my favorite cinematographers as he’s done some of my all-time favorite movies. Visually the film was rather subtle for its genre and kept things within reach of reality. The introduction of the technology of the somewhat futuristic scene was perfect and intriguing. I felt like towards the end, however, it was just a large canvas of copy-paste effects, very uniform and underplayed. The script was decent; I shook my head a few times at the cheese but hardly enough to call it a problem. Overall, it was a pretty good time. My only qualms with it really are partially aesthetic and mostly storytelling. The 3d act could have played out with a little less hesitation, and the effects could have been more elaborate and powerful. Overall, a well-rounded sci-fi flick following the trend of exploring our desire for a more intimate relationship with machines; and why we should just let them keep our news feed updated and provide us with funny YouTube videos.